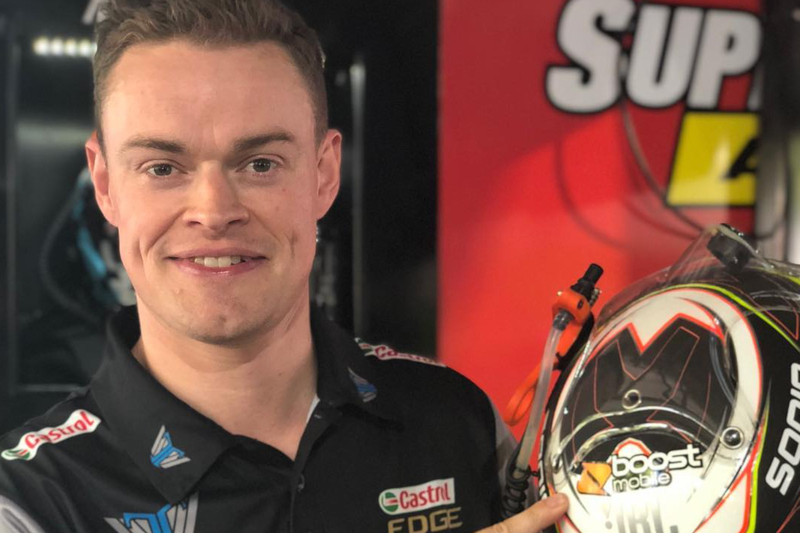 James Moffat’s rollercoaster Vodafone Gold Coast 600 included an unlikely Sunday morning sponsorship deal with Boost Mobile boss Peter Adderton. Adderton reached out to Moffat via Instagram, offering to pay a $5,000 fine handed to the 34-year-old that morning, in exchange for running a Boost sticker on his helmet. Moffat had been fined $5,000 – half of which is suspended for 12 months – and benched from the Carrera Cup finale after being found guilty of “physical abuse”. The incident occurred following the opening race on Saturday morning, where an on-track clash with Glen Wood spilled over into the Porsche parc ferme area. Moffat was quick to reply to accept Adderton’s Instagram offer, and later posted an image of his helmet complete with newly-added Boost sticker. Adderton, a provocative and highly successful tech entrepreneur, is a backer of the Stadium Super Trucks Series that was stopped from competing on the Gold Coast by CAMS on safety grounds. He explained that he reached out to Moffat because he sympathised with his situation. “I saw the story about James Moffat being banned and fined $5,000 for showing emotion and passion as a race driver, which was clearly a result of an on-track incident which turned into a dust up after the race,” he said. “I feel that this is similar to what happens in NASCAR, and frankly these young drivers give it their all to entertain us, so as you can imagine emotions run high. The most exciting thing to ever happen in Porsche Carrera cup and I mean EVER and they Ban the guy,they should be thanking him for making it half interesting Motorsport in Australia is becoming a Joke globally I left 17 Years ago when Men were Men and racing had personalities The regulator's are killing the sport ...time for a change..
News of Moffat’s Saturday morning incident and the stewards’ inquiry swept through the Supercars paddock during the afternoon. 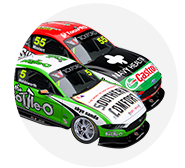 Tickford Racing sprung into action to organise a back-up driver for the Supercars races, in case Moffat was banned from both series. While Dunlop Super2 Series driver Shae Davies was put on standby, Moffat was free to race, putting in a sterling performance to set-up victory for himself and Chaz Mostert. 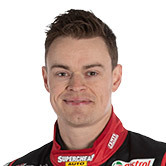 The win was the second of Moffat’s career, following his previous success at Winton in 2013 as a full-time driver, and Tickford’s first in 12 months.